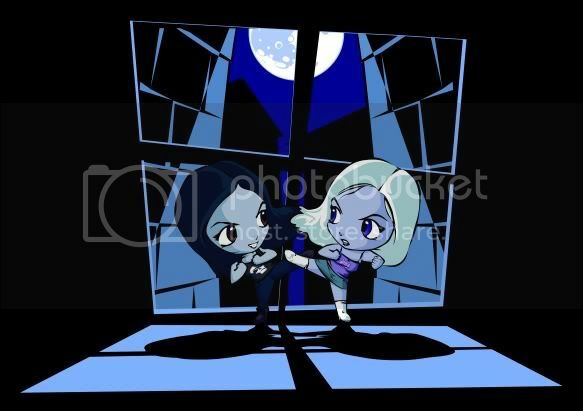 Chibi Faith vs. Chibi Buffy!! :) - artworks and much more. Well, after lots of work i have finished a Chibi Faith vs. Chibi Buffy pic. I chose the haircut of season 3 for both of them and also to add some moonlight surrounding the girls. I hope you all like the pic.